Robin and Raven. 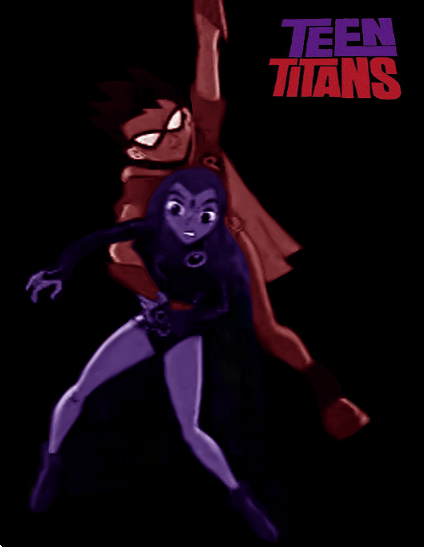 I edited this on Paint.Net :P. Wallpaper and background images in the teen titans club tagged: teen titans robin raven awesome titans art logo. 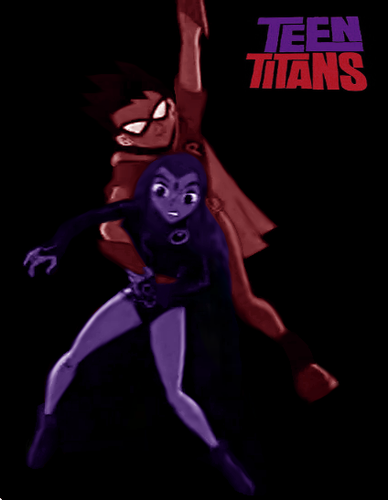 This teen titans fan art might contain anime, komik, manga, and kartun. YES!!! MWAHAHA!!! LOVEBIRD FOR THE WIN!!!!! I LOVE IT!!!! omg guys, everybody knows that star fire is going to marry robin. he only saves raven bc his team mates are his best friends and are like famliy to him.